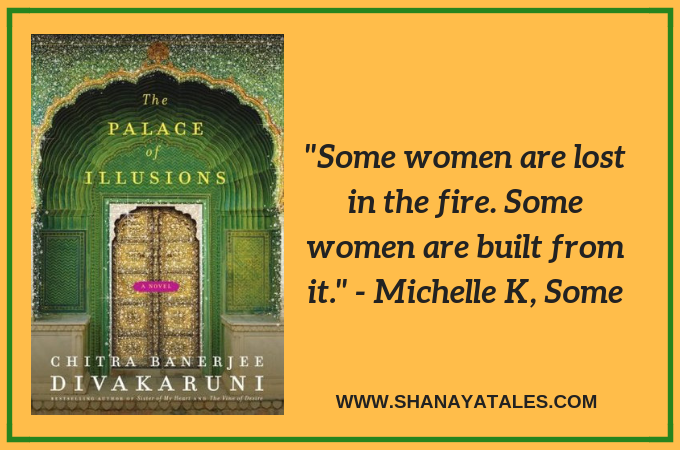 This book follows the life of one such woman who was built from fire – Draupadi. She was a fire born princess who longed for love and acceptance from her family, a wife to five of the most powerful heroes of her time (who was not given the choice of a monogamous marriage), an absentee mother and the queen of the most magical palace to ever exist. Draupadi was the one woman who stood out in the epic tale of Mahabharata, which was set in a time and age dominated by men. In those times, the men were the ones who took center stage. It was always about their strengths, their struggles, their egos and their opinions. So, when I came to know about the plot of this book, I was excited to read it. 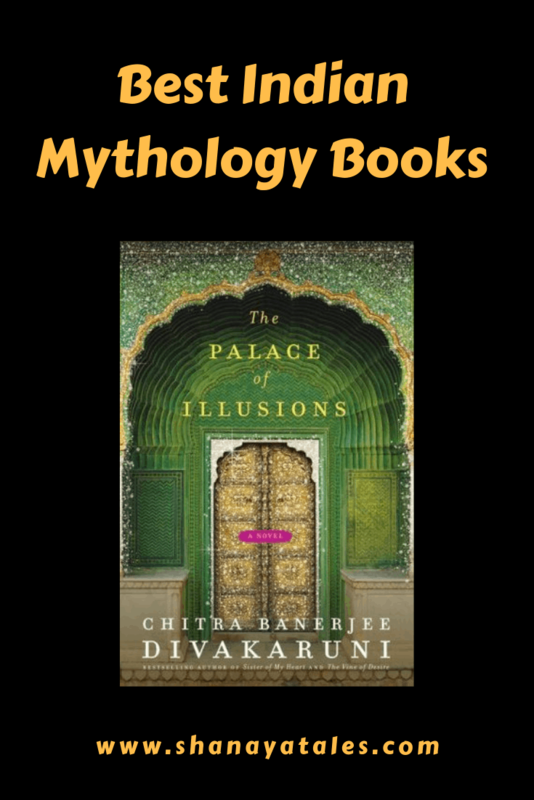 For one, the author chose to re-write the epic from a woman’s perspective, and more importantly, the narrator was the formidable Draupadi. How could I resist? The way I look at it, in terms of concept, the author had hit the literary equivalent of a bullseye. In this book, Draupadi is neither a victim, nor a one dimensional vengeance seeker that she is often portrayed to be. She is shown as a fiercely independent, rebellious woman, who wants to take her destiny into her own hands. The author did a wonderful job of sticking to the script of the original epic, and also managed to add something new to it by exploring the love story of Draupadi & Karna- the classic tragic hero. The writing is simple, clean and straightforward. It was good to see that the author made her narrator the lens through which we see the story, but not necessarily the epicenter of all events. This ensured that the book did not come across as ‘Draupadi’s Random Recollections’. The story has a good flow and continuity, which will also enable someone new to the epic to follow the sequence of events. I also liked the fact that the author chose to write about the circumstances after the great war, and the negative repercussions of the war that the victorious side had to deal with. It was interesting to read about how they resurrected their kingdom after the devastation of the war, the several years of Pandava rule that followed, and their final journey on a hill, especially because not much has been written about the post war period. Most importantly, the book is concluded masterfully. I can’t say enough good things about the last chapter of this book. It is beautiful, magical and simply perfect. As soon as I finished reading the book, I re-read the last chapter. I never do that. It is THAT awesome. However, there is one thing about the book that bothered me. As I read it, I couldn’t shake off the feeling that the author seemed to have a slight negative bias against her narrator. It is a subtle bias, but it is there. If this can be overlooked, the book could easily pass off as Draupadi’s autobiography. Nonetheless, like I said, the ending was beautiful, and I will forgive a lot for a beautiful ending. All in all, the book is an interesting insight into the mind of one of the most fascinating women in Indian history (yes history, not mythology). I would love to hear from you guys. Have you read this book? How did you find it? Did you love the ending as much as I did? Also, Indian Historical Fiction is one of my favorite genres to read, and I am always on the lookout for some great reads. Do you have any recommendations? Shanaya, I am reading this book currently and its simply awesome. I was checking if you also felt it awesome. The woman’s perspective has made a lot of difference to the story. And the love for Karna, has been hinted upon by Devdutt Pattnaik too in his book Jaya. Imagine, if she had married Karna, the story changes completely. She would still be queen of the eldest Pandava. Duryodhan may have accepted Karna as King. And Draupadi need not have married five of them, the war would have been averted. Just a thought. This book has been in my ‘To Read’ list for quite a while now. Once I’m done with my current lot of books, I’m picking this one. What a great review, I am sure it a great read! I have heard about this book earlier. But your review wants me to buy it and start reading itbasap! Thanks for sharing! Nibha recently posted…For One Last Time, I Turned Back! I’m going to add that to my TBR book. It sounds very interesting. I’ve missed your posts. This is an interesting review. Had read about the book earlier too. Couldn’t understand one point though, What exactly do you mean by “the author seemed to have a slight negative bias against her narrator. ” Would you mind elaborating this? I get your point. Had heard of this book earlier too. It is understandable that some amount of judgement is bound to creep in when sketching out the complexities of the character. The review was wonderful!Did perfect justice to the book! This is one of my favorite books! The part that stayed with me was Draupadi’s feeling that she was unwanted right from the start…her father wasn’t expecting her..she just came into existence. And that feeling carried throughout. She got what she never wanted and never got what she wanted! My heart went out to her by the time finished reading this! the little princess recently posted…Awards! I have not heard of this book, but your review makes me want to read it. I’ve never liked Indian Historical fiction so far… whatever little bit I have read it… until I came across Titli’s A-Z this year. In fact, I had given up on that genre completely before her series! It’s good to see you active again here. I missed your posts last month. I am a huge fan of Chitra Banerjee book. A balanced review that makes me wanna grab a copy. Alok Singhal recently posted…How can Toastmasters help you? One of my favourite books till date. And guess what, this is the only book I have reviewed on my blog till date. Shantala, now I want to read this book and I won’t rest till I get it. Thank you for putting in so much time and effort in reviewing books. Makes the job so easy for the readers. Your review is extremely well written. Can’t wait to get my hands on this one. Thank you so much, Nidhi. Rajlakshmi recently posted…On Surviving Weekends !! Shantala – I finished reading the book last week and it’s awesome. Totally a recommend from my side too. I read your review and you have done a great job! Honest and to the point! Parul recently posted…Happy Birthday Papa! Definitely picking this one. I have always wondered how Draupadi felt. I never knew this book had Draupadi as the protagonist though have heard so much about it. Sigh.my to be read list is getting longer ? Also browsed through her other books – Karna’s Wife seems to be an interesting POV.